Thylacine territory. Grass-trees, winding trails, log obstacles - and a car! 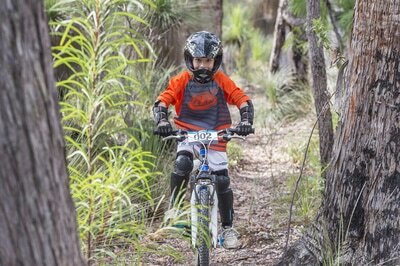 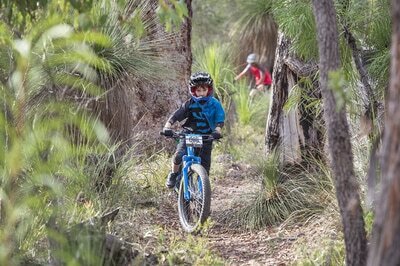 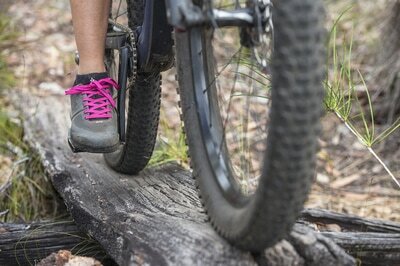 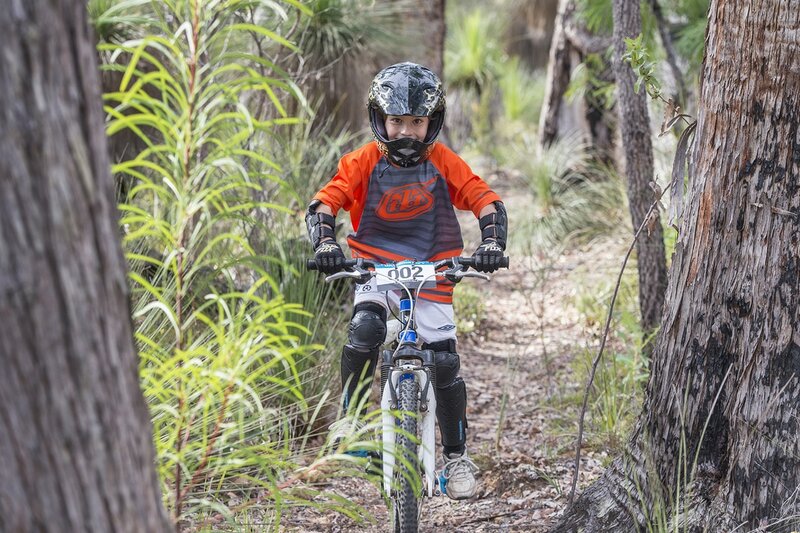 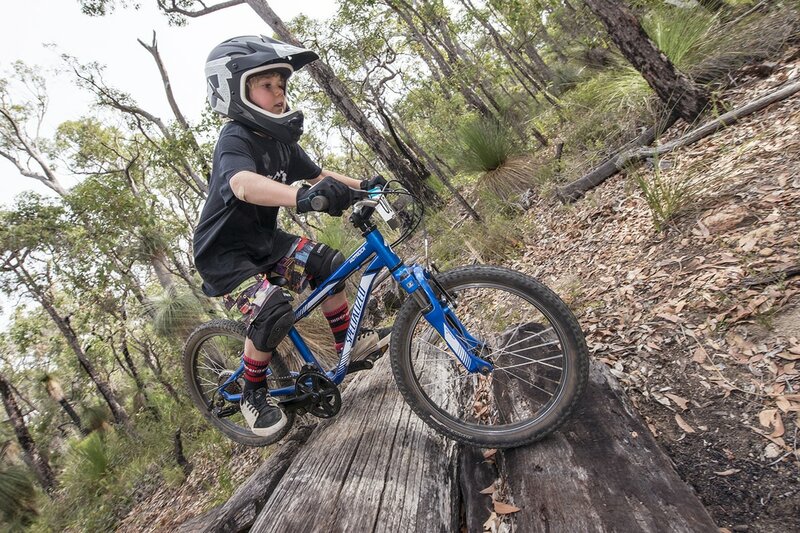 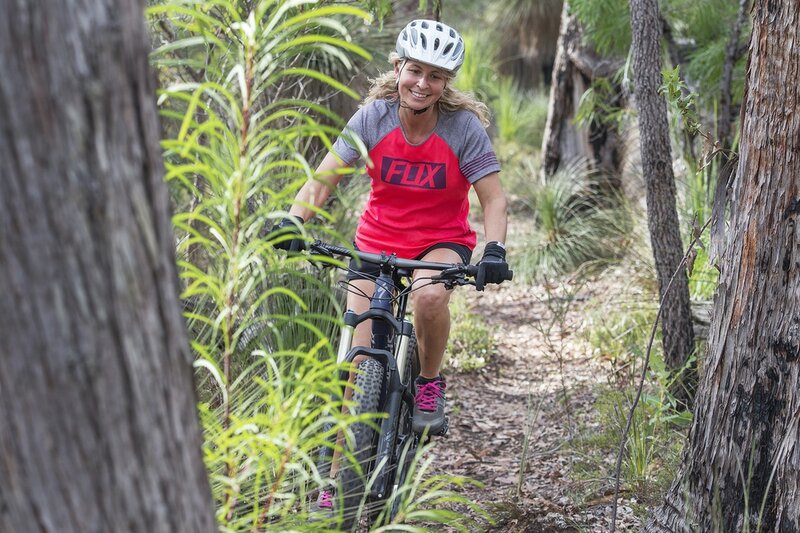 Situated at the edge of Whicher National Park close to Busselton, this fun network of trails suits beginner to intermediate riders, and is a favourite for XC riders training for events. 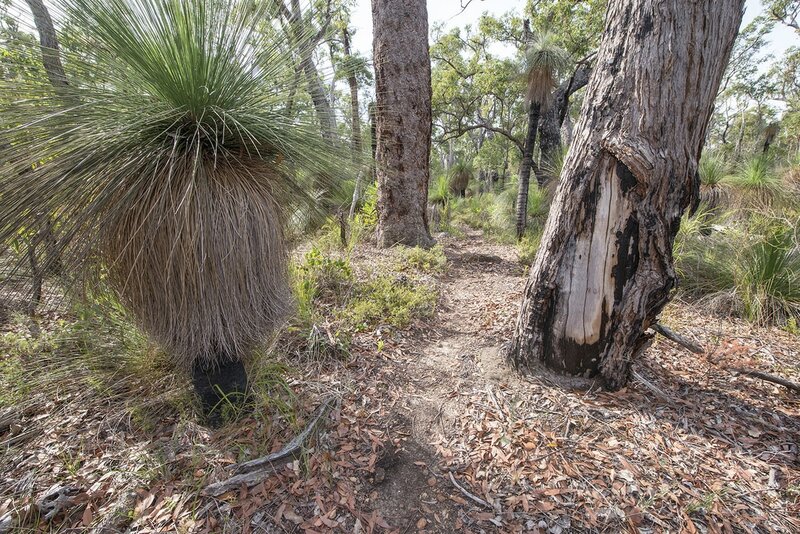 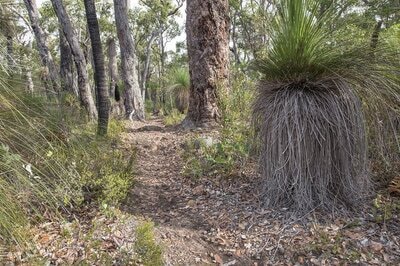 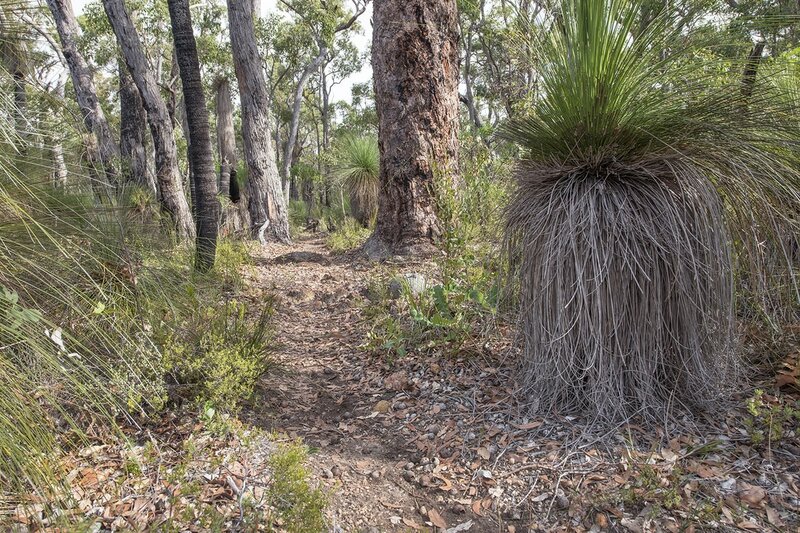 Winding its way through scenic bushland, there are loads of optional log obstacles and hidden features. 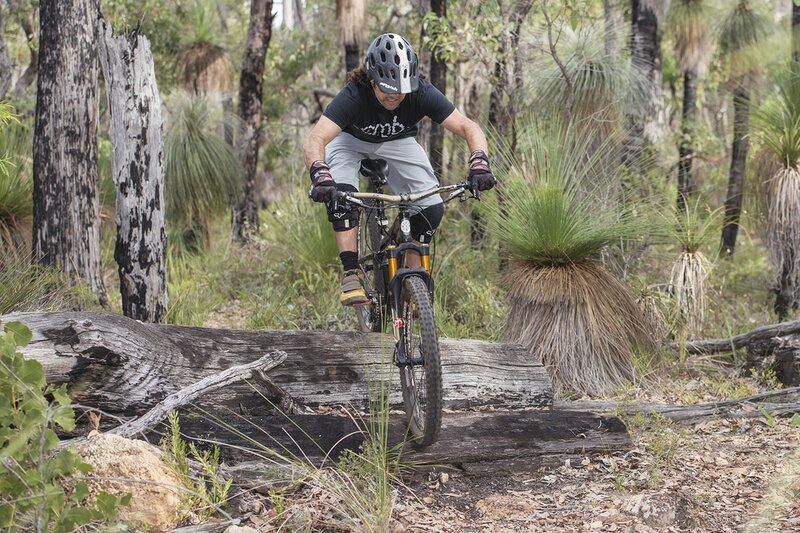 Traction is generally good, with the odd loose, gravelly section, and elevation is fairly flat - no massive ups or downs. 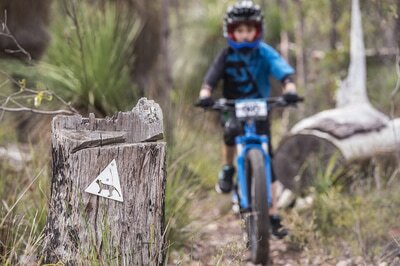 While officially unsigned, the trails are marked with the symbol of the thylacine (see photos) - follow these and you can't go wrong!